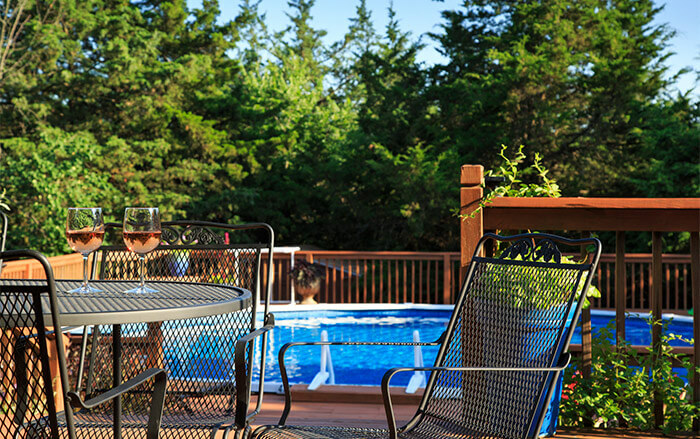 Embark on the perfect romantic getaway in Kansas while staying at our top-rated Kansas bed and breakfast. 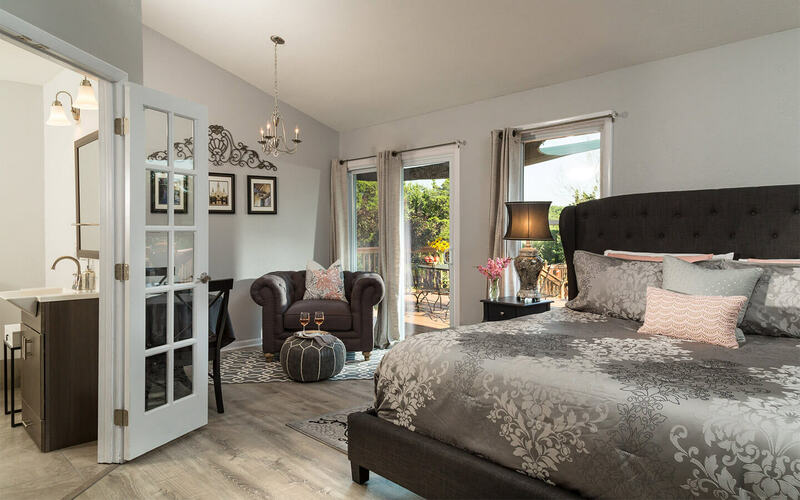 Enjoy a warm French essence, and live life luxuriously in this richly appointed room. 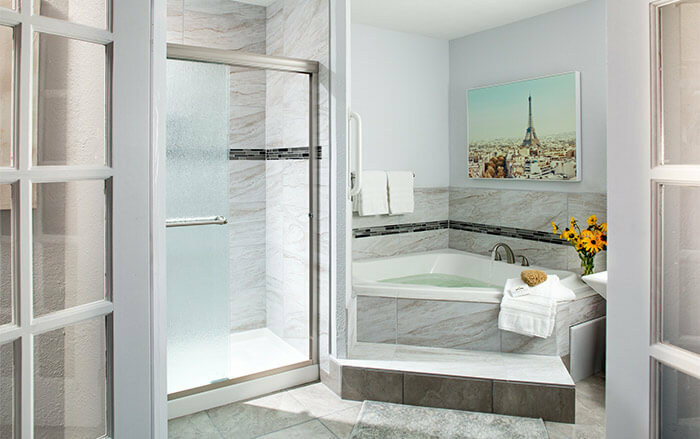 The private bath holds a 5-ft. corner Jacuzzi tub and separate shower. This room has been recently upgraded with a beautiful new color scheme, heated floor & towel rack in the bathroom. 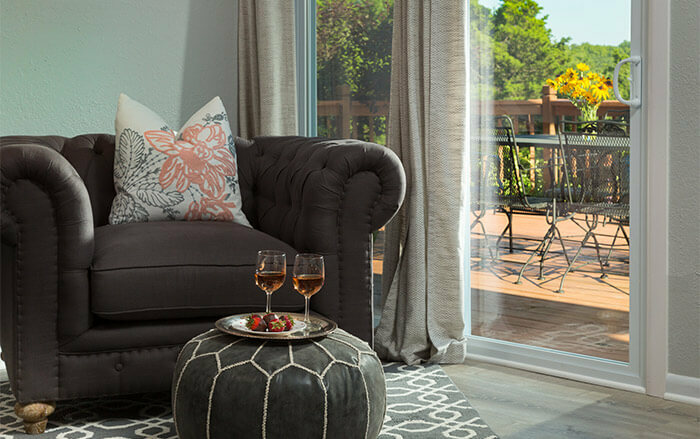 A sliding door opens onto your personal deck where you can enjoy the great outdoors with a relaxing beverage or snack. Additional amenities include cable TV & DVD player, Bluetooth speaker, small refrigerator, microwave, and Keurig coffee maker. Individually controlled thermostat. Take a Little More Time…. 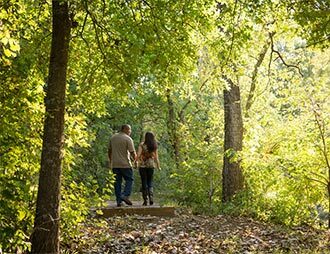 Our Extended Stay option gives you an extra hour in your comfortable room, access to our 100+ acres until 2pm, and a gourmet picnic lunch to go for the two of you! Now you can have your stay and extend it too!